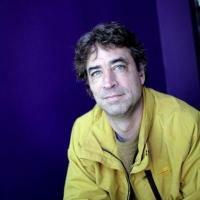 Michael Hardt's recent writings deal primarily with the political, legal, economic, and social aspects of globalization. In his books with Antonio Negri he has analyzed the functioning of the current global power structure (Empire, 2000) and the possible democratic alternatives to that structure (Multitude, 2004). Many of his seminars focus on the work of important figures in the history of critical theory and political theory, such as Marx, Jefferson, Gramsci, Foucault, Deleuze, and Guattari. He also works on modern Italian literature and culture.